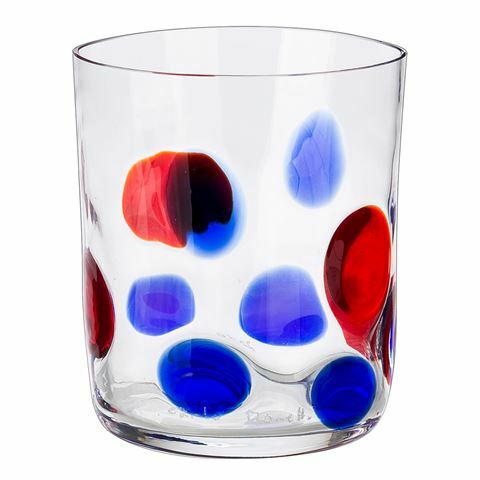 Anyone who is familiar with the Venetian island of Murano knows that they are renowned for their beautiful glassware. For centuries, the artisans of Murano have mastered the technique of glass-making, which is why their glassware is hailed as some of the finest in the world. Established in 1958 by Carlo and Giovanni Moretti in Murano, Carlo Moretti glassware is synonymous with traditional craftsmanship and contemporary Italian design. Carlo Moretti has honed its craft over the decades and their unique glassware is considered a product of great curiosity for what lies beyond the confines of the island. Inspired by the colours of the lagoon and the desire to create one-of-a-kind silhouettes and designs, Carlo Moretti glassware is mouth-blown from glass, finished off by hand “in the air”, and then signed by the individual artisan. Ranging from tumblers to stemware to vases, you can rest assured that no two Carlo Moretti pieces are the same – so each deserves pride of place in your home. Finished by hand and signed by the artisan. Presented in a Carlo Moretti box. Please note: due to the handmade nature of this tumbler, your tumbler will not be perfectly circular. However, this only adds to its unique aesthetic.